Porcelain veneers are a versatile cosmetic solution. 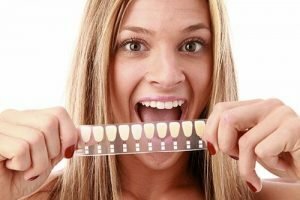 The thin porcelain shells, which only measure about half a millimetre, can transform your smile in just a couple visits. If you want to fix the imperfections in your teeth with veneers, A Plus Dental is here to help. Getting dental veneers usually requires only two appointments. The dentist will first examine the condition of your teeth and mouth to determine if you’re a good candidate for veneer treatment. The procedure will start by reducing a small amount of enamel on the teeth that will be treated with veneers, approximately half a millimetre. The tooth is roughened up with the use of phosphoric acid. This is done to prepare the tooth for veneer fitting. The dentist will take impressions of your teeth and send them to a dental laboratory for the fabrication of your permanent veneers. Your dentist will attach temporary veneers until the permanent veneers are ready. On your second and final visit, the permanent veneers are fitted. Your dentist will evaluate the comfort and fit of the veneers before bonding them on your teeth permanently. Special dental cement is used to attach the veneers on teeth. The veneers are then fined tuned for a perfect fit and a natural-looking outcome. The result is incredible. With porcelain veneers, achieving a celebrity smile is possible! Maintaining the health and form of your veneers is similar to how you normally maintain your teeth and gums. Be sure to brush and floss your teeth regularly. Use the right toothbrush and apply the correct flossing techniques. Eat a healthy diet and avoid habits that can damage your teeth such as using them as a tool or biting on hard objects. Overall, good dental habits and healthy lifestyle can help preserve your veneers for many years to come. With proper care and maintenance, your veneers can last 10 to 15 years or more. Veneers are a great option for your smile. The results are truly astonishing and the transformation of your smile will surely boost your self-esteem. Visit A Plus Dental today to discover if you’re a good candidate for porcelain veneers. Experience the amazing aesthetic and dental benefits of veneers today! 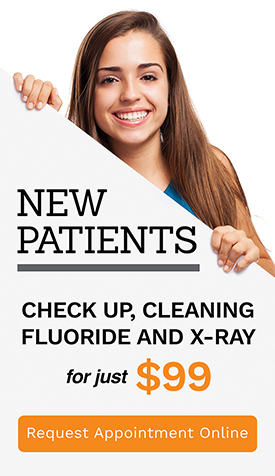 For more details, call us at (02) 4627 3833 or simply book your appointment online.